TOULOUSE, France (Reuters) - Loved by passengers, feared by accountants, the world's largest airliner has run out of runway after Airbus decided to close A380 production after 12 years in service due to weak sales. The decision to halt production of the A380 superjumbo is the final act in one of Europe's greatest industrial adventures and reflects a dearth of orders by airline bosses unwilling to back Airbus's vision of huge jets to combat airport congestion. "It's an aircraft that frightens airline CFOs; the risk of failing to sell so many seats is just too high," said a senior aerospace industry source familiar with the programme. Once hailed as the industrial counterpart to Europe's single currency, the demise of a globally recognised European symbol coincides with growing political strains between Britain, France, Germany and Spain where the plane is built. That's in stark contrast to the display of European unity and optimism when the engineering behemoth was unveiled in front of European leaders under a spectacular light show in 2005. British Prime Minister Tony Blair called the A380 a "symbol of economic strength" while Spanish premier Jose Luis Rodriguez Zapatero called the rollout "the realisation of a dream". 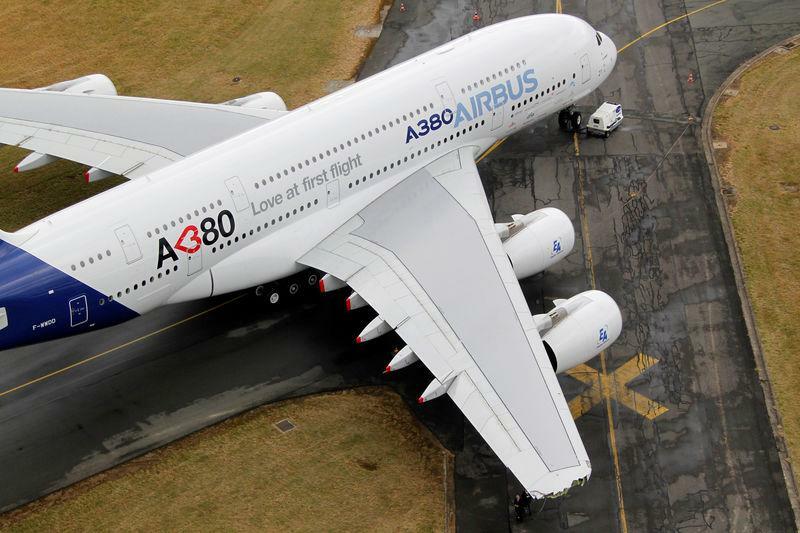 The seeds of the A380's fall from grace were already present behind the scenes of the 2005 launch party, insiders say. "It was a triple whammy," said a person close to the debate. As demand see-sawed, so did the plane's marketing: starting with luxuries including showers, then vaunting its green credentials with the messianic slogan 'Saving The Planet One A380 at a Time" before joining the race to squeeze in more people and cut costs. Yet despite its own deep industrial problems, Boeing was winning the argument with its newest jet, the 787 Dreamliner. It was designed to bypass hubs served by the A380 and open routes between secondary cities: a strategy known as "point to point". That's a boon for twinjets like the Boeing 787 and 777 or Airbus's own A350, which has outsold the A380 three to one. "Airbus tends to think of it as a flagship; Enders looks at it and sees a lack of orders," said a person close to the German-born CEO, who steps down in April. Emirates insists it plays fairly and has called the A380 a "passenger magnet," misunderstood and badly marketed by rivals. Its chairman said on Thursday he was disappointed in the A380's demise, but added "we accept that this is the reality of the situation".